Uprights aren't meant to be dunked on, apparently. 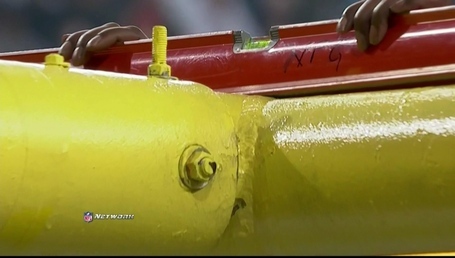 Personally, I think it would've been best if they'd just kinda left it that way and forced kickers to adjust. 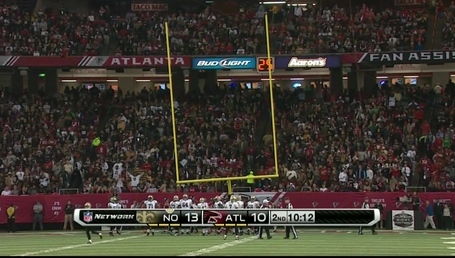 But apparently there are "rules" and stuff about the uprights being ... you know ... upright. Leonard Hankerson (knee, injured reserve) has been diagnosed with a torn ACL in addition to his torn LCL. The discovery was made during HankTime's Thursday operation to repair his LCL. Whereas before Hankerson could have possibly been ready for OTAs, he's now questionable for training camp. It shouldn't cloud Hankerson's status with the Redskins, however. Going into the final year of his rookie contract, HankTime is signed for an affordable $645,000 in 2014. He'll have to be 100 percent to earn a starting job in camp. New York Jets TE Kellen Winslow (knee) did not practice Thursday, Nov. 21. Fantasy Tip: That's two straight days of missed practice for Winslow. Not a good sign. Leave him to your bench or the waiver wire. Jeff Cumberland could see his role increase if Winslow is limited or doesn't play. Jets safety Ed Reed said earlier this week that defensive coordinator Wade Phillips is “probably” the reason he was released by the Texans. Reed also said he thought Phillips’ scheme was a bad fit for him and for some of his former teammates from Houston during his bridge burning session. Phillips was asked about Reed’s comments on Thursday and said he thought that his record spoke for itself in terms of how well his defenses have fit players. Phillips also said that he’d be cheering for Reed when he does go into the Hall of Fame even though he’s certain Reed won’t choose him to give the induction speech. Things didn’t work out in Houston for Reed and the Texans and there are fingers to point on both side when it comes to the reasons why it didn’t work out. Hashing them out in public doesn’t do much good for either man since their brief working relationship will wind up being a blip in their histories. Ray Lewis can put his American Express card away. On Monday, the former Raven-turned-ESPN talking head expressed his outrage at the penalty called on the 49ers’ Ahmad Brooks for his hit on Saints quarterback Drew Brees on Sunday. Lewis, speaking for linebackers past, present and future, called the penalty an “insult to defenders” and said it was a clean, hard hit. Then Lewis waved his credit card and said he would pay half of Brooks’ inevitable fine from the NFL. Now that Brooks has indeed been fined $15,750, he said he won’t take Lewis’ money, ESPN reported. “I will see Ahmad on Monday and I will have a check in hand for half of the fine,” Lewis said, again as reported by ESPN. The 49ers play the Redskins next week on Monday Night Football on the four-letter network. Ouch. Is that unnecessary roughness? ALLEN PARK, Mich. -- Rocky McIntosh doesn't see many plays on defense. The fourth linebacker on a team that predominantly plays nickel defense, the veteran from Miami, Fla., gets into the game in very specific scenarios. But over the past three games, when he's been in, he's made the play. He played three snaps against Dallas and made one tackle, had one snap -- and one tackle -- against Chicago and seven snaps and two tackles against Pittsburgh. That's a pretty high rate of tackle-to-snap. "I've played a while, so nothing really comes as a surprise," McIntosh said. "So just go out there and do what you've got to do. "I just think with experience comes a reaction when you're out there playing and just go out there and make plays. You can narrow down what they are going to run, you're able to see what is going to happen and recognize the personnel that's in the game." Here's where the clutch factor comes in. He made a key third down stop against Pittsburgh in the third quarter last Sunday, stopping Le'Veon Bell for a 2-yard loss. Against Chicago, he stopped running back Michael Bush on 4th-and-1 for no gain, resulting in a turnover. So how did he manage that? "Just being around, studying," McIntosh said. "Just playing the game. Playing the game within the game." All of this in a season where McIntosh has played far less than he has in any other year. He signed with the Lions this preseason to provide depth at linebacker and has played 19 total defensive snaps. His previous career-low in snaps is 431 last year for St. Louis. After being asked about Reed’s comments, several Texans players responded. 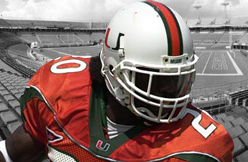 Before his stint with the Texans, Reed was teammates with Texans wide receiver Andre Johnson and center Chris Myers at the University of Miami. They weighed in as well. Myers wouldn’t respond to Reed’s comments, but he backed his coaches play-calling. 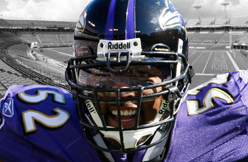 Reed will make his second homecoming to Baltimore this season Sunday, this time with the New York Jets. He was released by the Texans last Tuesday. Linebacker Jon Beason and safety Antrel Rolle have a lot in common. Both are leaders on a resurgent Giant defense, which has climbed from the twenty third-ranked fantasy defense in Week 5 to No. 9 in Week 12. Both have appeared in multiple Pro Bowls, Beason three times and Rolle twice. And both are former first-round draft picks from the University of Miami. The two were teammates from 2003-2004 and grew close sharing time on the Hurricane defense. Rolle, an All-American who was regarded as one of the nation’s top defensive backs, was picked No. 8 overall by the Cardinals in the 2005 draft after Beason’s freshman season. But even after he left, the two remained close. “Even throughout my college and pro career we’ve stayed tighter than most guys,” Beason said. 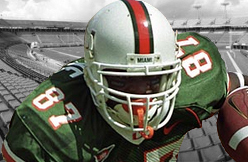 Beason, who had 95 tackles and four sacks as a Hurricane, joined the Miami first-round club when the Panthers selected him No. 25 overall in the 2007 draft. Rolle was released by the Cardinals in 2010 and signed by the Giants shortly after. In 2011 he led the team in tackles (96) and guided it to its second Super Bowl victory in five seasons. Beason earned Pro Bowl honors in three of his six seasons as a Panther but on Oct. 4, he was dealt to New York for a seventh-round draft pick. Rolle, of course, was one of the first to know. When Beason arrived, the Giants stood at 0-4. The team dropped its next two games to Philadelphia and Chicago and fell to 0-6. But midway through the Chicago game, things began to click. The team held Chicago’s offense out of the end zone in the second half and wouldn’t give up an offensive touchdown for the next nine quarters, leading the team on a four-game win streak. Devin Hester was back with the Chicago Bears’ defensive backs Wednesday, partaking at least in individual drills during the portion of the team’s practice that was open to the media. Coach Marc Trestman’s initial explanation? “We try to keep Devin as busy as we can during the course of practice,” he said. But is there more to it for Hester, who has been a return specialist and a return specialist only this year? Perhaps. Rookie Isaiah Frey, the team’s slot cornerback in nickel situations, was held out of Wednesday’s practice with a cast on his hand. Frey told the Tribune he had suffered a bone bruise during Sunday’s 23-20 overtime win over the Ravens at Soldier Field. Trestman said Frey’s injury was a fracture in his hand that could be casted and put him in position to play Sunday against the Rams. But what if Frey were unable to go? Trestman was uncharacteristically vague and evasive at first on how the secondary would be reshuffled in that scenario. It’s worth noting that when Frey became the top nickelback after a preseason injury to Kelvin Hayden, Demontre Hurst was the No. 2 in that position. Rookie cornerback C.J. Wilson is also in the mix. Currently, however, both Hurst and Wilson are on the Bears’ practice squd. Coincidentally – or perhaps not – Hester was back working with the defensive backs for parts of Wednesday’s practice. Remember, while he’s been a return man this season after six seasons also performing double duty as a receiver, Hester was drafted out of the University of Miami in 2006 as a cornerback. It certainly seems as if the Bears are creating an emergency plan if Frey is out with Hester figuring into those discussions. Even if it is a long shot ... a real long shot. Also worth noting: the Bears will need to find some answers in their secondary for Rams receiver Tavon Austin, a rookie whose speed and ability to change directions could be a headache. INDIANAPOLIS— When Reggie Wayne went down with an ACL injury on Oct. 20, he would soon have a decision to make. Would the 13-year veteran elect to do his rehab around the Indiana Farm Bureau Football Center? Or, would he relocate away from the complex with his season on the playing field over? The predicament wasn’t difficult to Wayne. “I love just being in that locker room, being part of a winning atmosphere,” Wayne said on the Query & Schultz show earlier this week. Similar to other Colts players rehabbing season ending injuries, Wayne has a fine balance between his time in the treatment room and trying to instill his wisdom into the young receivers. Wayne joked that this period of time is a bit of a rehearsal on whether or not coaching could be in his future once his playing career has commenced. Come Sunday, Wayne will once again be down on the sideline trying to dissect plays and offer assistance to the Colts receiving corps. With 28 years of experience between guys like Wayne and Matt Hasselbeck , the Colts coaching staff has a few more minds to turn to during the heat of competition. “I see everything. It’s a different feel,” Wayne said of being on the sidelines. “When you are out there playing it’s 100 miles per hour. You have to think ASAP. On the sidelines, you can kind of look to the guy beside you and say, ‘Look what he’s doing.’ When you are out there playing, you can’t do that. It’s a whole different perspective and it really makes you appreciate the game a little bit more. When Wayne re-signed with the Colts in the 2012 offseason, the new regime was not only getting one of the game’s top receivers but also a mentor to a young skill position group. It’s watching those players grow up on a daily basis that has Wayne eager to get to the complex every morning. Wayne considers himself a fan in some cases, just sitting back and watching his fellow receivers ask questions in an effort to become elite. “These guys in the meeting room every day want to be part of the action,” Wayne said. “They want to be part of it and do their best to make themselves household names. I see it every day and I give them as much as I possibly can because I want those guys to succeed. On Tuesday night, Andrew Luck joined Wayne on the Query & Schultz radio show. Luck took the first segment himself, with Wayne stuck in traffic, but the signal caller was briefly interrupted by the crowd’s cheer early in the show. It was Wayne entering the building and the love from the fans is something that the Pro Bowler holds in high regard. “The fans have been outstanding. I’ve been reading on my website, reading the newspapers and just even around town people at a red light, showing me how much support they have in me and the Colts, telling me they can’t wait to see me back out there,” Wayne said. This week, Washington quarterback Robert Griffin III has been criticized by the media and his teammate, wide receiver Santana Moss, for pointing fingers and not accepting responsibility for his role in last week’s 24-16 loss to the Eagles. Meanwhile, here in Santa Clara, running back Frank Gore is apparently the anti-RG III, whom the 49ers will face on Monday night. In the locker room today, Gore repeatedly referenced his dropped fourth-quarter pass in last week’s 23-20 loss to the Saints when queried about the 49ers’ recent offensive struggles. With the 49ers leading 20-17 with seven minutes left, a wide-open Gore dropped a potential big-gainer on 2nd-and-9 from San Francisco’s 21-yard line. Gore may have botched a potential huge play Sunday. In the aftermath, however, he hasn’t dropped the ball. Lauryn Williams' transition from Olympic track and field star to bobsled hopeful has been humbling and successful, not to mention a bit terrifying. As fast as Williams was on land, it's a different experience rocketing down an icy track in a 400-pound sled at speeds up to 90 mph. Elite athletes such as Williams aren't known for backing down from challenges, however, and she returned the next day. Williams, who announced her retirement from track competition in June, finished third in the 2013 Women's Bobsled Push Championships in Calgary in July. She, fellow Olympic track star Lolo Jones and seven other women were named to Team USA at the end of October and are in the midst of the competition season that will play a large part in determining who goes to the Winter Olympics in Sochi, Russia, in February. 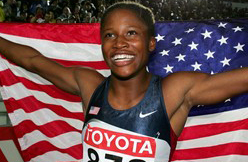 No female U.S. track and field Olympic athlete has competed in the Winter Games. The team will be announced Jan. 19. Jazmine Fenlator, who drove the sled with Jones as the pusher in last year's World Cup circuit, ran track at Rider, and her coach not only suggested she consider bobsled but also submitted an athletic resume on her behalf. Fenlator said the training for bobsled is similar to track and field. Learning the bobsled equipment and nuances of the sport is the challenging part, Fenlator said. There are only a certain number of tracks in the world, athletes have only a limited amount of time to spend on those tracks, and they also serve as their own mechanics and caddies. Growing comfortable with the speed and gravitational forces adds another layer to the process. Williams, who was recruited by Jones, said it was humbling to be a “fish out of water,” taking direction from others and becoming a student again after so many years of competing as an elite athlete on the track. “I saw the run and jump-in part (of bobsled) and thought that was the extent of it, but a lot goes on behind the scenes,” Williams said. Williams is aware that competing in the Summer and Winter Olympics would land her in rare company, but that isn't why she's doing it. The Washington Redskins have announced that wide receiver Leonard Hankerson is done for the year with a torn LCL in his left knee that will require surgery. Hankerson was placed on injured reserve from the injury that happened in the first quarter of the game against the Philadelphia Eagles this past Monday, which the Redskins lost. This year, little has gone well in Washington but Hankerson started showing some ability to be a contributor. While he needs to show more going forward, Hankerson had become the second receiver on the Redskins and had 30 catches for 375 yards and 3 touchdowns with 5 catches over 20 yards. The timing of the injury is particularly frustrating as Hankerson was coming off back to back games with 5 catches each and only one target that did not result in a catch. Hankerson also averaged 11.6 yards per catch. How he recovers from the surgery will be important but the Redskins hoped what Hankerson was showing them can be something they can get in 2014 on a consistent basis. The Redskins are just 3-7 and it does not get any easier as they prepare to host the San Francisco 49ers this week. LAKE FOREST, Ill. – Chicago Bears return specialist Devin Hester spent a portion of Wednesday’s practice going through individual drills with members of the secondary, and even received one-on-one instruction from defensive backs coach Jon Hoke at the conclusion of the workout. But does this mean Hester, a former collegiate and NFL cornerback, is a candidate to line up on the defensive side of the ball Sunday in St. Louis? Hester started games at cornerback and nickel back in college at the University of Miami and was a reserve cornerback for the Bears in 2006. Hester saw limited time on defense but did record 11 tackles and one pass break-up. 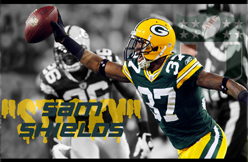 GREEN BAY, Wis. -- The hamstring injury that took out cornerback Sam Shields at the last minute before Sunday’s game against the New York Giants remains problematic. The Green Bay Packers’ best cover man was not on the field when the team returned to practice on Wednesday to begin preparations for Sunday’s game against the Minnesota Vikings at Lambeau Field. Shields was listed as probable for last week’s game despite not practicing on Friday. However, he was declared inactive after a game-day workout did not go well. “Sam didn’t feel it was serious but obviously as time approached the game, it was not where he needed to be,” Packers coach Mike McCarthy said earlier in the week. The Packers also were without another top cornerback, Casey Hayward, who is expected to miss multiple weeks with a recurrence of the hamstring injury he first sustained before training camp. Back in September, when Ed Reed returned to Baltimore to make his Houston Texans debut, an appreciative crowd at M&T Bank Stadium serenaded him with “Reeeeeeed” as he ran out onto the field and hundreds of fans waited after a blowout Ravens win to pay tribute to one of the greatest players in team history and say goodbye as he disappeared down the tunnel. No one — especially not Reed — thought he would be back in Baltimore two months later. But after a bitter divorce with the Texans, who released him last week, Reed has reunited with an old friend in former Ravens defensive coordinator Rex Ryan, the coach of the New York Jets. He was surprised the Texans let him go but is already comfortable with the Jets. Reed, who made 16 tackles and intercepted no passes in seven games for the 2-8 Texans, was cheerful and candid for most of a conference call that lasted more than 12 minutes and he was critical of his former team, specifically Texans defensive coordinator Wade Phillips. Reed said Phillips was probably “the reason I'm not there.” He said the Houston defense “is not a good fit for a lot of people who are still down there.” And he responded to those who have criticized his play this season by saying that quarterbacks have been avoiding him. But the 35-year-old doesn’t regret signing with the Texans, who rolled out the red carpet for Reed and gave him a three-year, $15 million deal months after the Ravens won the Super Bowl. “I’m past it, man. I wasn’t frustrated because God doesn’t make mistakes,” Reed said. When Reed was released, Ryan rushed upstairs to talk to Jets general manager John Idzik about possibly signing Reed. Ryan said that Idzik already knew he was coming. They agreed that Reed still had something left to give and gave him a one-year deal. Reed made three tackles in last week’s debut, though the Jets lost to the Buffalo Bills. Ryan, who thought Reed played well, believes it is unfair to compare this Reed to the one who was “the greatest free safety in the history of the sport” while in his prime. “Let’s see how he finishes this year, because you guys forget, he helped put that ring on your finger with his play even last season,” the coach said on his conference call. The Ravens drafted Reed in the first round in 2002. 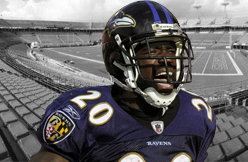 He spent a decade in Baltimore, was selected to nine Pro Bowls and was the NFL’s Defensive Player of the Year in 2004. But the Ravens showed no interest in Reed after the Texans cut him. Some of this former Ravens teammates admitted it will be a little weird seeing Reed, who is wearing No. 22 for the Jets, again with his second team this season. Reed isn’t sure if New York will be the last stop in a career that will likely get him enshrined in the Pro Football Hall of Fame. He is solely focused on the playoff push. Reed, a non-factor against the Ravens in Week 3, isn’t sure how he will received by Ravens fans on Sunday, acknowledging that the situation is “a little different” this time. With the Miami Hurricanes surrendering 41, 42 and 48 points in three consecutive losses -- the most points allowed in a three-game span in school history -- criticism of defensive coordinator Mark D’Onofrio has mounted. But where do players who actually played for D’Onofrio -- and other coordinators before him at UM -- place blame? Not at the man calling the plays. “He’s one of the best defensive coordinators I’ve been around as far as planning and getting ready for a game,” said former UM linebacker Sean Spence, who played under Bill Young as a freshman and then John Lovett as a sophomore and junior. 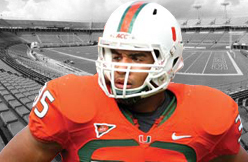 Spence was Miami’s leading tackler in 2011 when D’Onofrio’s defense featured five current NFL players (Spence, DeMarcus Van Dyke, Olivier Vernon, Ray-Ray Armstrong and Brandon McGee) and finished 17th nationally in points allowed (20.1) and 45th in total defense (359.9). Spence said Miami’s woes are not related to scheme. “A lot of times it does look like a lot of busted coverages and that has nothing to do with coaching at all,” Spence said. “D’Onofrio is a very patient coach who is going to take time with you to make sure everybody knows what they’re doing. 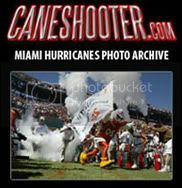 Spence, who spent his first two seasons in the NFL trying to recover from a dislocated kneecap sustained in a preseason game during his rookie year, was stunned that the Hurricanes lost to Duke and allowed 358 yards rushing. Former linebacker Jordan Futch, who played with Spence at UM, said the Hurricanes’ defensive struggles relate to a lack of toughness and talent at certain positions. Futch points to safety AJ Highsmith and linebackers Tyrone Cornelius and Thurston Armbrister as players he thinks have been forced into more duty because of a lack of depth. D’Onofrio and Golden have avoided singling out players for their mistakes, but have repeatedly said the defensive breakdowns against the run have been the result of one or two players not sticking to their gap responsibilities. 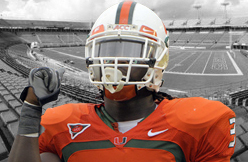 Futch said Miami’s defensive backs and linebackers aren’t playing more aggressively in coverage due to lack of speed. In August, Canesport.com reported that UM’s fastest defensive backs were Elder (4.49) and sophomore Antonio Crawford (4.52). Every other played timed at 4.58 seconds or slower. First he soaked in everything he could as a rookie from veteran defensive end Cameron Wake, and now Miami Dolphins defensive end Olivier Vernon is a solid compliment to the two-time Pro Bowler. Teacher and pupil were on equal footing two days ago at Sun Life Stadium in Miami’s pivotal 20-16 win over the San Diego Chargers with both coming up with clutch sacks in the fourth quarter. Wake now leads the team with 6.5 on the season but Vernon is right on his heels at 5.5 and recorded at least one in four consecutive games, proving his slow start is a thing of the past. San Diego put rookie left tackle D.J. Fluker on Vernon the entire game, figuring his 6-foot-5, 339-pound frame would be too much for the much smaller ex-Hurricane to handle. Vernon is 6-2, 268, so he was giving up three inches in height and 71 pounds in weight. As it turned out, Vernon pretty much had his way with Fluker and led the Dolphins in tackles with six (five solo), one for loss and two quarterback hits. His sack of Chargers quarterback Philip Rivers was the turning point of the game as he pushed them out of field with 4:07 remaining, knocking Fluker off balance and to the ground before wrapping up Rivers from behind. The comfort level Vernon has shown on the defensive line has been noticeable, especially considering the fact that he missed half of his junior season at the University of Miami. He settled into the role of defensive end nicely and finished 2012 with 3.5 sacks and 22 tackles (17 solo). Vernon also made his mark on special teams as a rookie and was named AFC Special Teams Player of the Week for games played the week of October 25th-29th after he recovered a blocked punt in the end zone for a touchdown and blocked a field goal in Miami’s 30-9 win at the New York Jets. His sack of St. Louis Rams quarterback Sam Bradford two weeks earlier at home, which was his second of the game, forced the Rams to try a 66-yard field goal that missed in a 17-14 victory, but defensive coordinator Kevin Coyle has seen even more improvement. All three sacks by the defensive line in the fourth quarter were impactful, with Odrick’s early on forcing San Diego punt from its own end zone and set up Miami’s offense with excellent field position. The Dolphins added a field goal on the ensuing drive to make it a four-point game and alter the offensive strategy of the Chargers. Wake’s came in the final minute and forced San Diego to burn its final timeout on the drive that came up short. But both Wake and Odrick pointed to Vernon’s sack as the biggest one because of the circumstances and how much time was left, with Wake taking pride in the fact that it came from another “hybrid” defensive end. Odrick put it into a broader perspective. This Sunday, Vernon gets to face the big and elusive Cam Newton, quarterback of the Carolina Panthers, which will be another challenge he’s willing to take on. HOUSTON, TX – While the Texans haven’t made a huge impact on the field this season, it doesn’t keep them from making a difference in the classroom. The NFL Play 60 group is at it again, with Texans cornerback Brandon Harris and Toro the bull exercising with the kids of Pershing Middle School. Despite the Texans two and eight record, the excitement of the kids wasn’t diminished by any means. No one is happier to hear that than a player himself. We definitely agree, although we certainly wouldn’t complain about a win over the Jaguars this weekend. 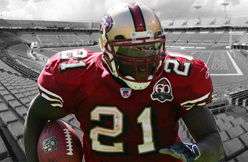 SANTA CLARA — Frank Gore has gone through his share of losing streaks in nine seasons with the 49ers, and their lastest one has him scratching his head. "I'm very surprised we lost the last two like that: close games," Gore said Wednesday. The 49ers (6-4) are coming off losses to the Carolina Panthers (10-9) and New Orleans Saints (23-20). Next up is a Monday night game against the host Washington Redskins (3-7). "I know Monday night, Washington is going to be pumped, and we're trying to get back on track to where we want to be, and that's the playoffs," Gore added. The 49ers offense ranks 29th overall in terms of yards per game, and although they have the fifth-best rushing attack, the pass offense still ranks last for a third straight week. Left guard Mike Iupati likely will miss Monday night's game because of a sprained left knee. "Mike's a great player, a Pro Bowl player and helps the run game a lot," Gore said. "But Snyder is a vet and it will be fine." The Dallas Cowboys were the better team on Opening Night, and Antrel Rolle knows they deserved to beat the Giants. But on Sunday night at the Meadowlands, Rolle promised that "It's definitely going to be a different outcome." That's the vow he made Monday night on SNY's Daily News Live, kicking off the hype to the Giants' rematch with the Cowboys. The Cowboys won the opener in Dallas 36-31 because of six Giants turnovers. But the Giants, who have won four straight games to salvage the 0-6 start to their season, are a much different team now. And Rolle admitted, a little "payback" would be nice. "Payback? Absolutely," Rolle said. "They played good football. You can't take anything away from them. They had six turnovers. That's an exceptional game a defense could have. They played great football. We just came up a little bit short. But I think this time around it's definitely going to be a different outcome. "We're going to go out there and we'll fight," Rolle added. "We're fighting for dear life right now." DALLAS -- When he entered Monday's game against Philadelphia for the first time as an NBA player, Dallas Mavericks rookie point guard Shane Larkin admits he was a bit nervous. He also admits he thought coach Rick Carlisle was testing his mettle. "When coach called me in that first quarter I had butterflies,' Larkin said. "But I think that was kind of like a test from coach to see if I was ready, to see if I was going to go inside of my shell and be scared and go out there and play scary, or if I was going to step up to the challenge and go out there and try to prove myself. Larkin finished the game with three points, three assists and three steals in only nine minutes. It was his first game after recovering from July 16 surgery on his fractured right ankle. 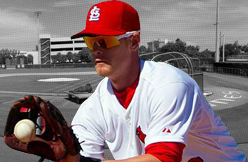 General manager Jeff Luhnow dipped back into his baseball roots, claiming infielder Ryan Jackson off waivers from the St. Louis Cardinals. The Astros also outrighted outfielder J.D. Martinez to Class AAA Oklahoma City and released righthander John Ely and lost infielder Jake Elmore after he was claimed off waivers by the White Sox. Jackson, 24, is the latest former Cardinal to land in Houston since Luhnow left St. Louis to take over as the Astros’ general manager. The former University of Miami fifth-rounder from the 2009 draft spent most of last season at Class AAA Memphis, hitting .278 with 34 RBIs. Much like Elmore, Jackson is a versatile infielder who logged in significant time at shortstop, third base, second and the outfield last season at Memphis. Elmore, who became the first Astro to play every position in a single season while making two stints with the major league club, made franchise history against the Rangers when he caught and also pitched in the same game after Max Stassi was injured. Elmore, 26, played 52 games and hit .242 with two home runs and six RBIs. Martinez, 26, was limited to 86 games during an injury plagued 2013 season. The Astros’ 20th round pick in the 2009 draft hit .250 with seven home runs and 36 RBIs. The Astros’ 40-man roster jumped to 34 players with Jackson, but the club was also expected to add outfielder Carlos Santana, Carlos Perez and Asher Wojciechowski and perhaps a few other prospects Wednesday to protect them from next month’s Rule 5 draft. The Astros are expected to announce their 40-man roster on Thursday morning. Andy Martino of the New York Daily News has it on "good authority" that the Brewers are not looking to trade Ryan Braun right now. 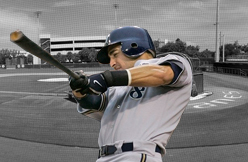 Matt Cerrone of MetsBlog.com passed along word Wednesday that the Brewers would be open to trading Braun (possibly in a deal to the Mets for Ike Davis) and would be willing to cover some of his salary in order to do it, but the scenario doesn't appear to have any legs. The embattled outfielder is still owed $113 million over the next seven seasons. Jon Beason is humbled and energized by the accolades. He’s quick to deflect the attention but deep down takes great satisfaction in it all. Since his arrival in a trade with Carolina on Oct. 4, the Giants have suddenly become a defensive juggernaut. They’ve allowed just two touchdowns in the past 18 quarters and just 11.8 points per game over the past four games to spark the team’s four-game winning streak. To a man, his defensive teammates credit him. They say he’s the voice the unit needed. He's the leader they were longing to follow. “I’m grateful when I get those comments,” Beason said Monday afternoon during a conference call. “I try not to read too much of the stuff that’s being written because I don’t want to be comfortable. There’s so much more I can do. There’s so much more I want to do. 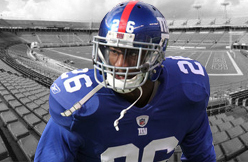 Beason, a three-time Pro Bowler, has 36 tackles (25 solo) in five games with the Giants. He had eight tackles and an interception in the Giants’ 27-13 victory over Green Bay on Sunday. After six-plus seasons and major knee, Achilles and shoulder surgeries, the Panthers unceremoniously traded him to the Giants for a late-round pick. 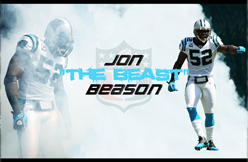 Beason was just 28 years old. “As you get older in this league, you realize it’s a business,” he said. “You can sulk and feel bitter about the cards that were dealt. It’s no one’s fault, not even my fault, that I got injured. “But it happened. A lot of times when people deal with setbacks, they fold and they allow them to control the situation and that’s it. This happened so this is the end of the legacy. This is the end of the book. “For me, I knew I would have my day again. Being healthy was the No. 1 priority. Once I was healthy, I know who I am. I knew who I could be. To get the opportunity I could here, it was a blessing. I’m just trying to take advantage of the opportunity and give back. “A lot of times when you look back on stuff, you say, 'You know what, this is all part of the plan. This is exactly where I’m supposed to be right now.'" Ray Lewis is still giving fiery speeches. Not in the Ravens locker room, but on ESPN. And Lewis is even using props, like his American Express card. Lewis weighed in on the controversial penalty that was called on 49ers linebacker Ahmad Brooks for his hit on Saints quarterback Drew Brees. Now an analyst for ESPN, Lewis didn’t hold back during a Monday night football panel discussion, saying the call was embarrassing for the NFL, criticizing Brees, and offering to pay half if Brooks was fined. “This is the most embarrassing call in the National Football League since the tuck rule and Tom Brady,” Lewis said. “I’m serious. I’ve never seen this kind of insult to defenders…When you look at the hit, Ahmad Brooks took the hit and hit him exactly where he was supposed to hit him. Drew Brees’ neck slid down to that man’s arm. You cannot – you cannot – first of all, for that to be a flag is embarrassing. Let me tell you the second embarrassing thing. The second part that’s embarrassing about this is for Drew Brees to say, ‘I got hit so hard I knew it had to be a flag.’ This is the National Football League. I don’t understand what that means. When you get hit that hard from the blind side, it’s supposed to hurt. When ESPN analyst Trent DeIfer said he thought Brooks would be fined, Lewis had more to say, with his American Express card in hand. Clearly, Lewis still has a forum to vent his emotions. But Brooks may want to get that credit card number. 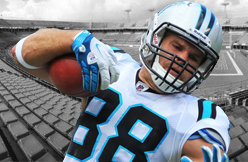 Greg Olsen caught five passes for 52 yards and one touchdown in Week 11 against the Patriots. Olsen tied for the team lead with Brandon LaFell at eight targets. On the three misfires, Cam Newton simply overthrew his tight end on short routes. Olsen secured his 15-yard touchdown on a third-and-four corner route, beating Devin McCourty. It was a perfect throw by Newton. Olsen has now scored in three of the last four games and remains locked in as a TE1. 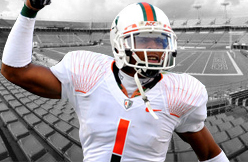 He could do a lot of damage next week against a Miami defense that struggles to cover tight ends. The Packers discovered they’d be without arguably their best cornerback, Sam Shields, shortly before the game-day inactives were announced on Sunday. 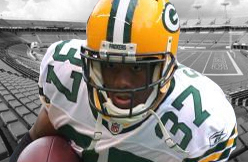 The last-second scenario reminded defensive coordinator Dom Capers of the regular-season opener in San Francisco when Morgan Burnett was expected to play but wound up sidelined with his own hamstring ailment. Like Burnett’s situation, it led to some last second shuffling, which included rookie Micah Hyde playing the slot in nickel and veteran Jarrett Bush seeing his most playing time of the season as the dime cornerback. Capers said the plan going in was to have Hyde handle first- and second-down nickel snaps with veteran Tramon Williams rotating in on third downs. Without Shields on the outside, Williams put together his finest effort of the season – seven tackles and an interception – but wasn’t able to shift from his perimeter post, either. The secondary didn’t play terribly, but was burned on a few critical plays that came primarily as a result of switch routes where two receivers cross their routes in hopes of throwing off the defenders. The first came on Rueben Randle’s 26-yard touchdown when Hyde turned the wrong way into a zone defense rather than staying with Randle in man. In the third quarter following a Scott Tolzien interception, there was some miscommunication between Williams and Burnett that led to Hakeem Nicks’ 35-yard catch with both defensive backs staying with Cruz and leaving Nicks free over the top. On another third-and-5 play off a switch route, safety M.D. Jennings simply failed to come down to cover tight end Brandon Myers, who caught an 8-yard pass from Eli Manning and led to a touchdown two plays later. Giants receiver Victor Cruz also said afterward that New York had a good feel for the Packers’ schemes and calls in certain situations en route to picking up a 30-yard completion in the first quarter with outside linebacker Clay Matthews in coverage. “They basically were very protection cautious on third down. It looked like they were almost expecting pressure every third down from us,” Capers said. “They basically were very protection cautious on third down. It looked like they were almost expecting pressure every third down from us. We adjusted and we didn’t pressure as much after that. WASHINGTON (CBSDC) - Santana Moss wasn’t too appreciative of RGIII crediting the Redskins receivers’ inability to get open on the final play as reason for him throwing the interception that secured their 24-16 loss to the Eagles on Sunday. Moss was simply asked to respond to Griffin’s comments about the Eagles knowing every play that was coming, and his receivers not being open, which forced him to try to throw the ball away in the back of the end zone — an attempt which fell short of the desired effect. “Honestly man, just like I sat here a couple of weeks ago and talked about when I felt that Pierre was wrong for speaking out about anything that’s in house, as a leader, when you know you’re a leader, you don’t have to be told, or you don’t have to tell people you’re a leader, one,” he said. “Two, as a leader, you understand that if you’re involved in the situation, whether you’re the receiver, the quarterback, the guys making the tackle, whoever, regardless of the outcome, good or bad, you have to at some point, stand up and say ‘me’ or ‘I,” Moss went on. “And just to finish up man, I just get tired of, and just to be honest with you, I get tired of stuff that people allow to be taken to stretch longer than what there really is, because as a person, we’re able to give you what we want to give you. “We can lie to you every time we come on air about something that’s going on. So for you to allow someone to take what you say out-of-context, and make it more than what it is, then to me I feel like you’re allowing that. You are letting that be more than what it really is. “If we’re going to win games, we need to win games with our guy saying ‘at the end of the day, I didn’t make a play,’ regardless of if it wasn’t him. And that’s how I feel. Because that’s what we’re out there to do. I’m not sitting here to tell you why it didn’t happen, or who didn’t make the play for me to make a play. “If I’m the guy, that’s at the end of the day have the ball in my hand, and we’re sitting there and the game is over because of me, I didn’t do enough to make the play. I didn’t do enough to help us win. And that’s what I would do. “So my opinion on whatever was said, which I don’t know what was said, you just told me a lot, it ain’t called for,” Moss continued. “It should be someone who’s doing whatever they’re doing for us, when it comes down to us doing these interviews, needs to step up and talk to the guys that’s doing these interviews, to know what to say and when to say it. Because I don’t feel like it’s being said enough, and it’s getting tiring. “It’s kind of boring right now for us to be going through this right now, and we’re at, what? How many games have we lost this year? 3-7? I’m not going to sit here and talk to you about all that man, I’m trying to win games,” Moss said. “And you’re having to talk to us because of maybe what somebody else said, or maybe they should have been told that that’s not something you should say,” Dukes observed. “It bothers me,” Moss said. “And I hate being bothered by stuff like that because it’s not called for, man. At the end of the day, I can tell you, I know everything and anything that went on, and I can tell you something so differently that make you believe it, and you can just leave it there and fight next week to be better. In an earlier segment, Moss defended Mike Shanahan and his ability to lead the team into battle, saying the team still responds to him. DALLAS -- Rookie point guard Shane Larkin waited a long time before he got to play in his first NBA game. But it was well worth the wait. In his first game with the Dallas Mavericks, Larkin contributed three points, three assists and three steals Monday in just nine minutes to help the Mavs squeeze by the Philadelphia 76ers, 97-94, before a sellout crowd of 19,790 at American Airlines Center. Larkin had been sidelined since fracturing his right ankle during a July 5th practice session on the day the Mavs left town to participate in the Las Vegas summer league. Larkin underwent surgery on July 16 and had been working out vigoriously while waiting to get in a game. The 18th overall pick in this past June's NBA Draft finally got his chance against the Sixers. And it was especially sweet for Larkin, whose parents -- including baseball Hall of Famer Barry Larkin -- were in town for the game. "It was a great moment in my life and a great moment that I've been waiting my whole life for and working my whole life for,'' Larkin said. "To step on the court and hear the crowd cheering for you like they've been waiting for this moment is a great feeling. Those talks apparently worked, because Larkin looked like he had been playing with the Mavs for a few games. "I thought he did very well considering it was his first live action in a real game,'' coach Rick Carlisle said. "We've had a tough 10 days to try and get him ready because we haven't had a lot of practice time. The Redskins might be without wide receiver Leonard Hankerson for an extended period after he suffered a knee injury on Sunday. Washington Redskins wide receiver Leonard Hankerson has an LCL injury in his left knee, but it has not yet been determined if he will require surgery to repair the injury, according to Mark Maske of the Washington Post. Hankerson, 24, was a third-round selection in the 2011 NFL Draft and didn't play much in his rookie season after suffering a hip injury that ended his season early. Since then, he has developed into a solid contributor and has tallied 30 receptions for 375 yards and three touchdowns. 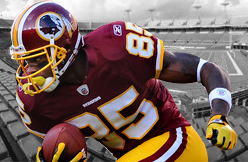 If Hankerson misses extended time for the Redskins, they will rely on Aldrick Robinson, Santana Moss and Joshua Morgan to take larger roles in the Washington offense. The Redskins have the sixth-ranked offense in the NFL, but are 13th in points scored. Quarterback Robert Griffin III has posted 14 touchdowns and 10 interceptions for the team. Kellen Winslow returned to the Jets lineup Sunday against the Buffalo Bills. He was at Geno Smith’s disposal for the first time since Week 5 in Atlanta, before a violation of the NFL’s substance abuse policy cost the tight end four games. 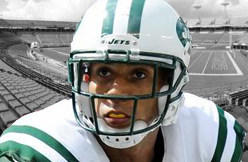 At the time the suspension kicked in, Winslow led the Jets with 17 receptions. Against the Bills, though, he played a peripheral role in the offense. He participated in merely 11 of the Jets’ 58 offensive snaps and caught the only pass thrown his way for a gain of 17 yards. 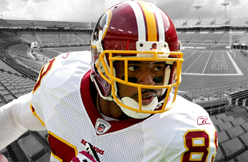 Winlsow stated before the season that he aimed for 100 catches, a target he has not reached in a nine-year career. He has slipped from the starting lineup, however, in part due to the chronic pain in his right knee which has cut down on his practice time. Marty Mornhinweg, who calls the Jets’ plays from the sideline, told Winslow last week that he would receive between 10 and 15 snaps against the Bills. Jeff Cumberland, by contrast, played 47 snaps. Rex Ryan said the Jets wanted to ease Winslow back into action, and that perhaps his snaps will increase next weekend in Baltimore. In the meantime, Winslow says he will remain patient. Andre Johnson dismissed his heated, late-game argument with Matt Schaub after the Houston Texans lost 28-23 to the Oakland Raiders on Sunday. At 2-8, the Texans' season is forked, and a coaching change likely is on the horizon. Johnson was asked if he'd want to stick around Houston for a rebuild. "I'm under contract, so I have to play my contract out," Johnson said, per ESPN.com. "I can't do anything about that." Johnson is signed through 2016. The 11-year NFL veteran spent his first seven seasons wallowing on terrible and mediocre Texans teams before even earning a winning record. After making the playoffs the last two seasons, Houston was supposed to contend this season for a Super Bowl. Instead, it has lost eight consecutive games. Changes are coming, but 32-year-old Johnson said he doesn't plan to ask for a trade. "I've always said this is where I wanted to be, so I don't really have anything to say about that," Johnson said. "I still have an ongoing contract." This was not how Johnson envisioned the twilight of his spectacular career. He still is one of the most productive NFL receivers when given opportunities. It would be a shame if he got swallowed in another rebuild. A week after playing in only 40 percent of the Saints' offensive snaps, Graham played in 51-of-69 snaps (74 percent) against the 49ers on Sunday, reports ESPN.com. Despite the marginal production -- six catches for 41 yards -- Sunday's snap count is a good indicator that Graham was able to manage his plantar fascitis in Week 11. So long as he can continue to play through the injury, he remains an elite option at tight end, particularly with a favorable Week 12 matchup on deck Thursday night in Atlanta. 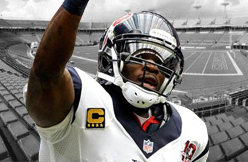 HOUSTON -- "I messed up, I'll leave it at that," Andre Johnson said with a tired-looking smile following the Houston Texans' eighth consecutive loss. He was talking about the Texans' final offensive play of the game, one that sparked a heated discussion between he and quarterback Matt Schaub. 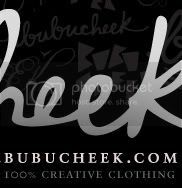 Schaub entered the game late in the third quarter after Texans coach Gary Kubiak benched Case Keenum. After jawing at each other, Johnson walked off the field, away from Schaub. Johnson said this emphatically after the game: "Matt and I are fine." He added that he and Schaub talked more in the locker room after they'd each cooled off. Schaub echoed that the two players had no problem with each other. Players get into it with each other and even coaches on the field sometimes. They get frustrated. They yell. They wave their arms around sometimes. But Johnson's actions were just one sign of mounting frustration for the best player in franchise history. 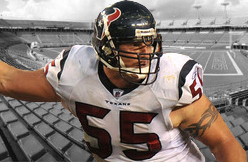 Johnson slogged through five losing seasons to start his career and didn't have a winning season until his eighth year in the NFL, when the Texans went 9-7. His team finally made the playoffs in 2011 and 2012. With consecutive playoff seasons and a roster that seemed to be getting only better, Johnson thought the days of losing were behind him. Asked last week how tough this season has been, he said it was the most frustrating he has been through because of the expectations. Now the Texans are 2-8, on a franchise record eight-game losing streak. "I'm under contract, so I have to play my contract out," Johnson said, when asked if he was happy playing for the Texans moving forward. "I can't do anything about that." Once more, he was asked if he would be willing to go through more losing seasons as he had before. "I've always said this is where I wanted to be, so I don’t really have anything to say about that," Johnson said. "I still have an ongoing contract." It was noted to Johnson that he could ask for a trade. "Yeah, they can," he said. "I don’t know. I never asked for a trade. Did you hear anything about that?" His contract goes through the 2016 season, and it's one that has been reworked repeatedly to help alleviate salary cap issues. He isn't going to ask for a trade, that's just not who Johnson is. But his frustration at this season is completely understandable. Johnson doesn't have another 10 years to be patient through another rebuild. He has never looked elsewhere, he has never even reached free agency. He's stuck with a team, believing in its plan, and now that plan is crumbling. Is he the same player he was five years ago? No. But last week's two acrobatic touchdowns and the previous week's three touchdowns showed Johnson is still a top-tier receiver, having adjusted to what he does well now. When Johnson came to Houston, he joined a struggling expansion team looking for an identity. He has already been through one additional rebuild here. It would be a shame if his career ended with another rebuild, on a team that's once again searching for an identity. Peyton Manning is hobbled by a sensitive right ankle. With Jay Cutler, it’s the left ankle. Aaron Rodgers is out at least until U.S. Thanksgiving because of a broken left collarbone, although reports out of Green Bay say the star quarterback can reach down now to put on his socks in the morning without too much pain. 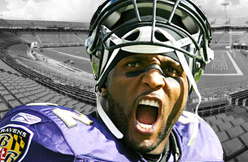 Former linebacker Ray Lewis isn’t feeling sympathy for any of them. An injury epidemic has hit NFL quarterbacks this season, pushing the league to determine this week it would investigate expanding rules that protect quarterbacks. Lewis scoffs at the thought. The former Baltimore Ravens star, who retired after last season, was asked Friday on ESPN Radio whether there were any more ways to make the game safer for quarterbacks. “The only thing they can do next is put flags on them,” Lewis replied scornfully. In his mind, quarterbacks already are pampered to the point of thinking they’re untouchable, as if the game were flag football. Lewis said anytime a quarterback gets knocked down, he looks to the officials to call a penalty. Except that some teams are running out of quarterbacks. Seneca Wallace replaced Rodgers as the Green Bay Packers’ starter last week, but he suffered a groin injury so third-stringer Scott Tolzien takes over this week. The Packers are the fourth team to go to a No. 3 quarterback this season, following the Buffalo Bills, Cleveland Browns and Minnesota Vikings. The Chicago Bears’ Cutler is sidelined for the second time this season, having recovered from a torn groin muscle just in time to sprain his left ankle against the Detroit Lions last week. Josh McCown is back at quarterback for the Bears this week. Manning has been a limited participant in practice this week with the Denver Broncos but is expected to start Sunday night against the undefeated Kansas City Chiefs. Only 20 of the 32 teams have had the same starting quarterback in every game this season. Imagine how much worse that figure could be if Lewis were still playing. Allen Park — One play is all it takes to make an impression. In each of the past six seasons, Lions linebacker Rocky McIntosh started at least eight NFL games, first with the Redskins, then the Rams last season. With the Lions, though, McIntosh is lucky to play one defensive snap as a fourth linebacker, but that hasn’t stopped him from making critical plays. Against the Bears last week, McIntosh played two defensive snaps. One was in the second quarter on fourth-and-1 with Chicago at the Lions 27, and McIntosh stuffed Bears running back Michael Bush for no gain to give the ball back to the offense. McIntosh also covered Bears running back Matt Forte on Chicago’s first 2-point try at the end of the game, though the Bears had a second opportunity after a roughing-the-passer penalty on Willie Young. “All he does is make plays,” second-year linebacker Tahir Whitehead said. In a Week 8 win over the Cowboys, McIntosh played three defensive snaps. Late in the fourth quarter, Dallas running back Phillip Tanner carried on third-and-14, and McIntosh made the tackle. A holding penalty against the Cowboys left the Lions enough time to march for Matthew Stafford’s winning quarterback sneak, but if McIntosh didn’t make the tackle, the Lions couldn’t have declined the penalty and would’ve lost another 40 seconds. “He’s been a starter in the past. That’s not his role right now, but he prepares every week that way,” Lions coach Jim Schwartz said. “I think that’s the key for any player is he can control his preparation and his attitude. Both have been outstanding. In addition to his occasional role on defense, McIntosh is a key contributor on special teams, adding four tackles against Washington in Week 3 and three tackles against the Bears in Week 4. McIntosh, who signed with the Lions at the end of training camp, understands his role, but he still prepares as he did when he used to be a starter. And when Sundays come, he’s ready for whatever role the coaches give him. Even though he’s a backup, McIntosh said he doesn’t mind his role. 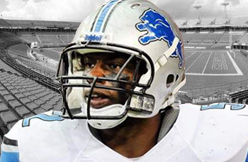 The coaches think Stephen Tulloch, DeAndre Levy and Ashlee Palmer are the top three linebackers, and McIntosh said he agrees the coaches should go with the guys who give the Lions the best chance to win. For now, McIntosh simply adds a four-linebacker look for likely running situations, of which there could be many Sunday in Pittsburgh with rookie running back Le’Veon Bell. The other linebackers have played well in their roles this season, so when McIntosh does enter on defense, he wants to hold up his end. CHARLOTTE, N.C. — On any given game day, the winner is defined by the battles for victory. But it's Greg Olsen's fight of a lifetime that took place away from the football field – a fight for his family. Last year, when the Panthers tight end and his wife had twins, one of them had a rare heart defect. Doctors weren't sure if T.J. could even survive the delivery. He spent 35 days in the hospital. Now, just a year later at Greg and Kara Olsen's home, it's hard to keep up with their three children. T.J. and his twin sister, Talbot, are now 1. Their older brother, Tate, is 2 years old. T.J. is now thriving at home and has been through two surgeries and still has one left. But they all know it's been hard getting to where they are today. "I don't think we ever thought we would be at this point, living a relatively normal life," Kara said. "We didn't know if he was going to make it," Greg said. "We had 24-hour around-the-clock care for him and we personally believe it's a huge reason why he's doing so well today and we want to bring that care to all the children that are born with this discharge here." That's when Greg and Kara decided to do more to help other families that maybe don't have the resources to care for a child requiring constant care. They created Receptions for Research and have already donated hundreds of thousands of dollars to the Levine Children's Hospital in Charlotte to help families in similar situations. They have also held benefits to not only raise money, but raise awareness. Greg describes the foundation's mission as, "Helping the family transition from the hospital and doctors into the home with a little bit of the transition process to really make sure these babies are cared for properly." That care T.J. found right at home. "We're thankful for every day that we have together now," Kara said. "There's new perspective." "We made it through this, I think we can make it pretty much through anything," Greg said. The Olsen are making it through one day at a time, one battle at a time and focused on the simple things far from the field and close to their heart. "Who is your favorite player on the Carolina Panthers," Greg asked Tate. 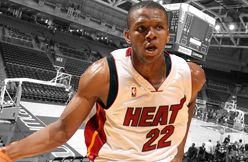 Has James Jones gotten lost in Heat shuffle? Q: A game like Saturday, with no Mario Chalmers, Ray Allen or Udonis Haslem, you have Dwyane Wade and even LeBron James needing to be spelled, and Chris Bosh in foul trouble. And James Jones can't get off the bench? That makes him the guy who gets cut when Pat Riley inevitably finds this year's buyout deadline special, right? -- Raf, Melbourne, Australia. A: Doubt it, and because of more than having to eat a guaranteed contract. There also is a loyalty factor in play, plus, when needed to get what he does best, Jones has produced. The reality is the preference long has been for the type of length Rashard Lewis and Michael Beasley are capable of providing. But there will be a time when 3-pointers are needed, and needed in a hurry, and few can produce as efficiently in that regard as Jones. He's basically a roster luxury, but hardly an outcast. 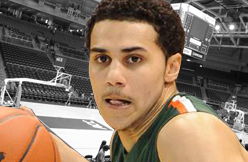 Mavericks rookie guard Shane Larkin is finally almost ready to play his first NBA game. "It may be today. It may be on Wednesday. Maybe Friday. I've just got to talk to the trainer. Whenever they give me the OK is when I'll go," Larkin explained. "I feel good. After the first practice it was sore, but I've practiced a couple of times since then, so my ankle is getting back to the pounding. I'm feeling good. "I'm really anxious. It's been a long time coming. It's been my life-long dream just to play in the NBA. I'm here now practicing. Now, the next step is to play in an NBA game." "I have to earn everything that I'm given," Larkin said. "But I'm really anxious to get out there. I would like to be in the rotation already but I'll be coming off an injury, Gal's been playing well, so it's just a matter of me getting out there and whenever I get time, whether it's at the end of the game, middle of the game, two minutes here, a minute there, I just gotta go out there and be solid." Dallas will host the Philadelphia 76ers on Monday and the Houston Rockets on Wednesday. Seven of the Mavericks' next nine games are at home they are 4-0 at American Airlines Center so far this season. In the latest edition of quarterback-receiver arguments on Texas-based NFL teams, embattled Houston Texans quarterback Matt Schaub was involved in a shouting match with All-Pro wide receiver Andre Johnson at the end of the team’s 28-23 loss to the Oakland Raiders. The Texans had a third-and-1 from the Oakland two-yard-line with 1:28 remaining, but failed to get the go-ahead touchdown when Schaub missed Johnson, who was covered by multiple Raiders defenders, on a fourth-down throw into the end zone. When the offense came off the field, Schaub and Johnson were seen jawing at each other until people stepped in to separate the teammates. Johnson turned around and walked off the field while the Raiders were kneeling down to kill the clock. According to John McClain of the Houston Chronicle, Johnson was also seen getting frustrated with Schaub late in the fourth quarter when the QB didn’t see him open in the secondary. Schaub, the Texans starter who was injured last month, replaced Sunday’s starter Case Keenum late in the third quarter. He downplayed the incident with Johnson after the game. Wide receiver Leonard Hankerson, according to the coach, has a “possible” lateral collateral ligament injury and will have an MRI exam Monday as well. Hankerson said after the game that he wasn’t overly concerned, but he admitted that he didn’t know for sure how badly he was or wasn’t hurt. Biggers suffered his injury early in the game and briefly returned. Bowen also made a brief return before exiting for good in the second half. Hankerson was seen jogging on the sideline following his initial injury, but he never returned to the game. 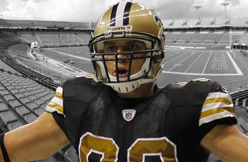 Jimmy Graham caught six passes for 41 yards in New Orleans' Week 11 win over the 49ers. Graham was targeted 11 times one week after drawing only five, with two of them coming inside the 49ers' five-yard line. He couldn't turn either of his goal-line looks into a touchdown, however. Either way, Graham was a much bigger part of the offense after being suspiciously limited in Week 10 against the Cowboys. The Saints are playing in the Thursday night game for Week 12 — which is far from ideal for a player dealing with a painful foot injury — but Graham remains a top-two option at tight end. 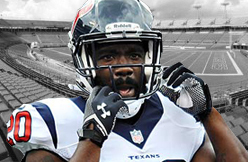 First ballot future Hall of Famer Ed Reed ended up with Jets after they strongly recruited him following being waived by the Texans, but another future first-ballot Hall of Famer wanted him a little further north. Tom Brady reached out to Reed, sources said, sending texts urging Reed to stop playing against New England and start playing for them, but the Patriots brass did not pursue Reed with any vigor, and the Jets came on strong. Brady and Reed have long maintained a mutual admiration, and Patriots coach Bill Belichick has said in the past he believes Reed may be the greatest safety ever. Reed was definitely intrigued by the prospect of playing for New England, but after clearing waivers the team did not make official overtures to him. Meanwhile, Reed's former defensive coordinator, Rex Ryan, was heavily recruiting him, sending him texts and messages and immediately setting up a visit to the Jets after Reed cleared waivers. Reed spent considerable time with Jets general manager John Idzik on Wednesday night prior to signing with the Jets on Thursday, and he also passed a very thorough and detailed physical with the Jets doing a review of his hip, which required offseason surgery. Reed has told friends he feels as healthy as he has in a while and his physical condition was not a factor in his star-crossed tenure with the Texans. Houston wanted to evaluate younger talent, with the team in a seven-game tailspin, and Reed was not playing much. More to the point, he and defensive coordinator Wade Phillips never established a trust or relationship, according to sources with knowledge of the situation, with them having philosophical differences from the onset. Things were “awkward” from their initial meeting when the Texans had Reed in for a free-agent visit this offseason, sources said, and Reed was mystified by the lack of sophistication in the team's defensive schemes, with a limited number of coverages, red zone, calls, etc. It was not nearly as elaborate as what he was accustomed to with the Ravens and Reed was torn as to how much angst to express to teammates and coaches, since he only just signed with the team a few months back and had not built up any currency there. Reed could not justify some of the concepts and approaches the Texans take and he was making a very limited impact in their defense. With Ryan there is an immediate bond and Reed has a thorough knowledge of the defense. With Ryan he can act as a coach if need be, will be able to position others and can teach the young players. Ryan believes Reed can still dissuade quarterbacks from the throwing the deep ball, sources said, and believes he can scheme up opportunities for the ballhawk to get his hand on the football, while realizing Reed is not going to be heavily involved in the run game and has some limitations at this stage of his career, as well. The Jets are seeking more veteran leadership and experience in a young locker room -- vocal leaders like Bart Scott and Darrelle Revis have departed that defense in recent years -- and Red fills that void as well.